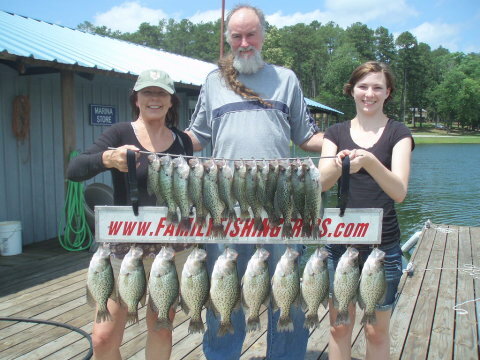 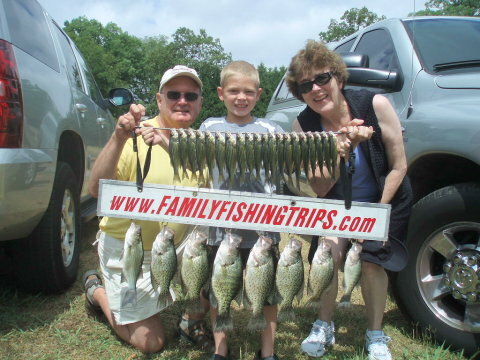 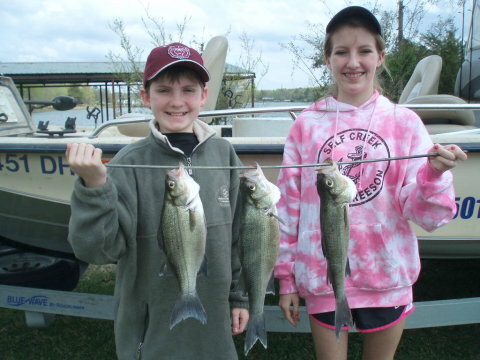 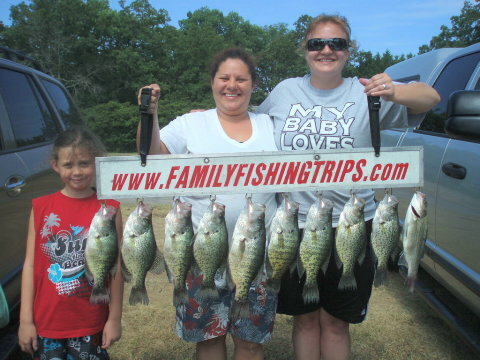 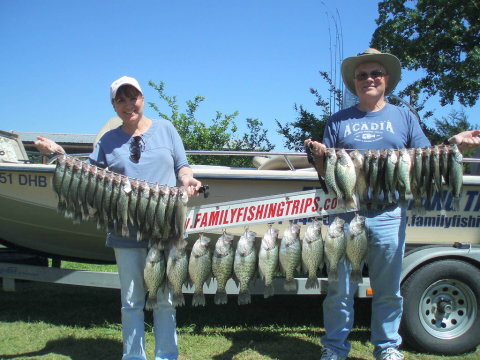 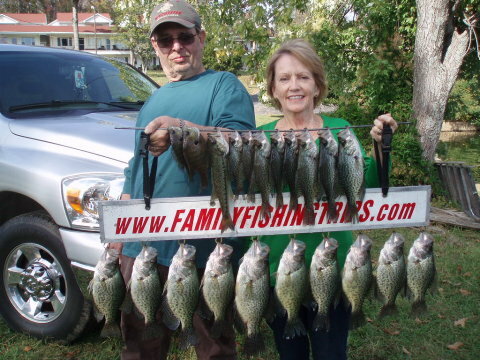 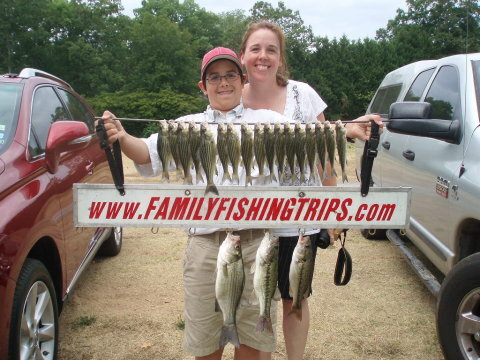 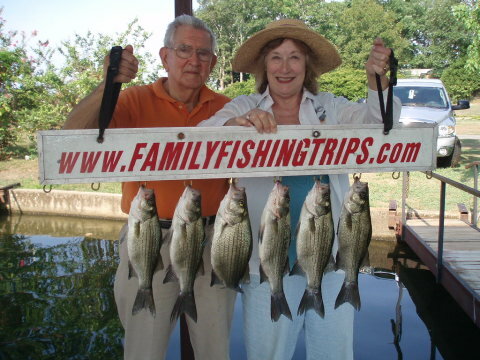 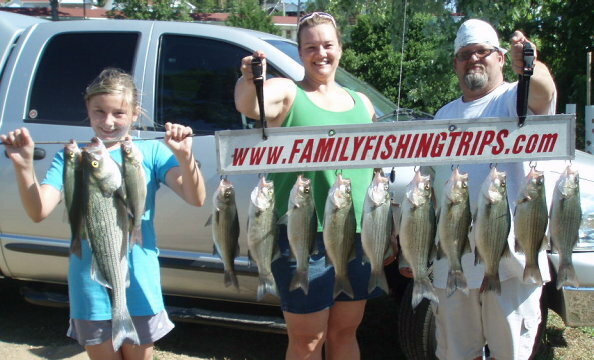 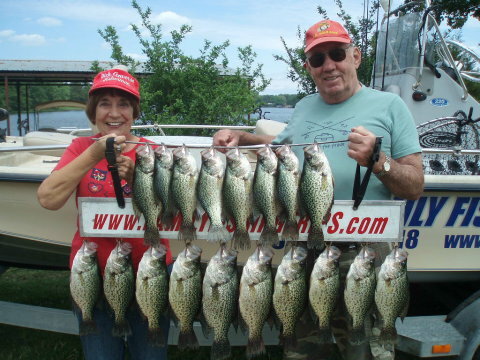 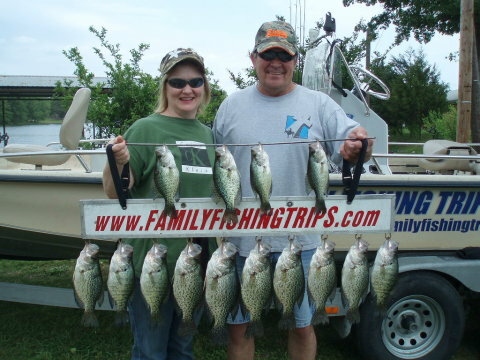 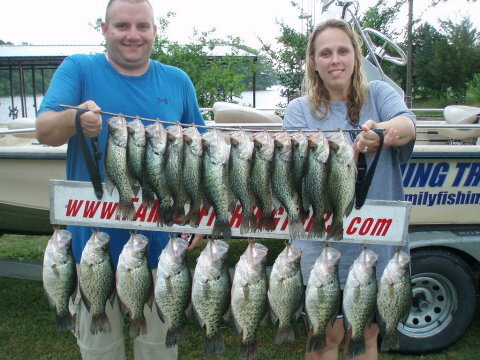 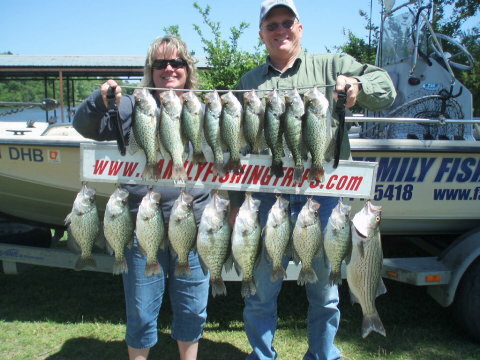 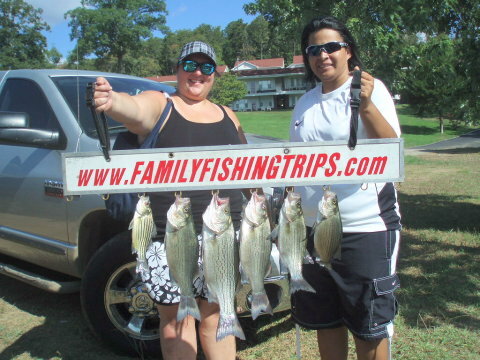 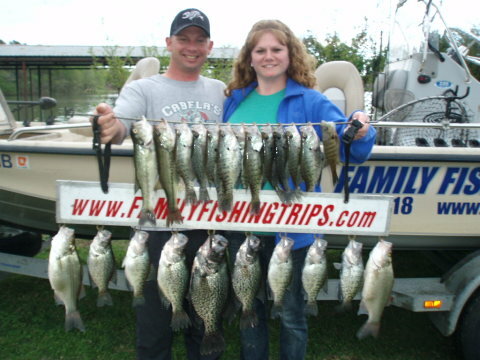 Bass and Crappie on DeGray Lake --- "Baby" is glamour fishing, she caught the first one but wouldn't kiss it. 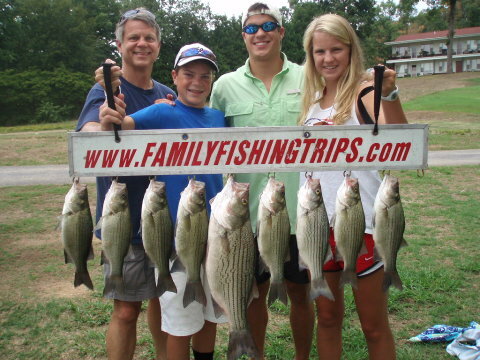 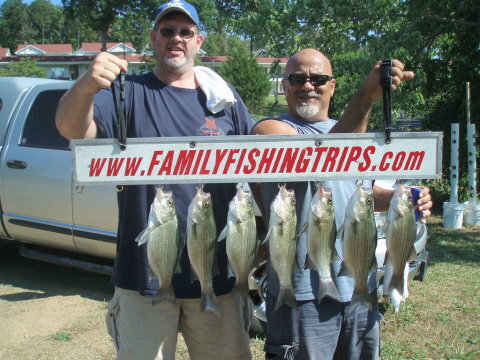 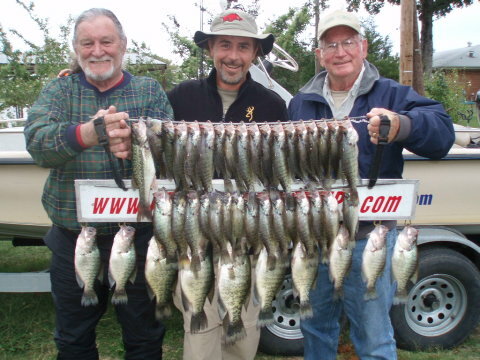 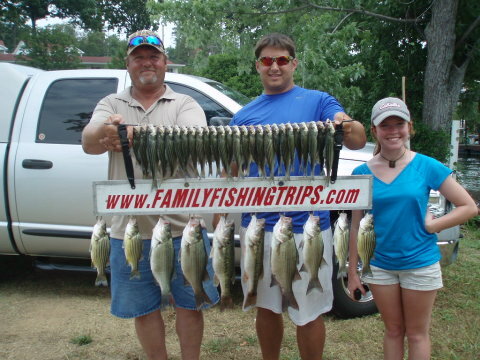 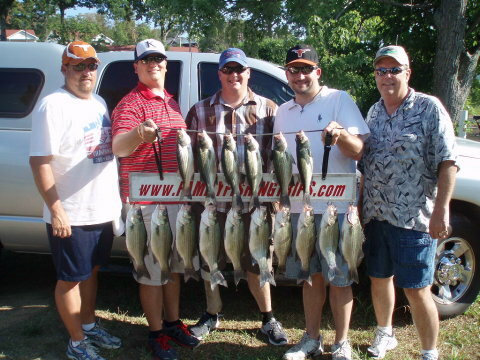 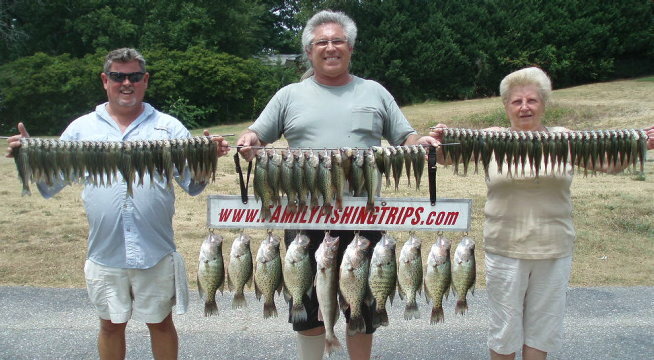 Scouted Lake Hamilton today and found this mixed bag of fish. 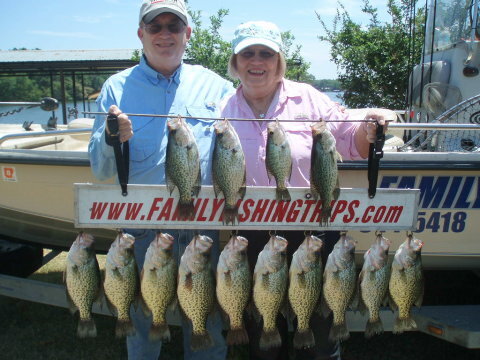 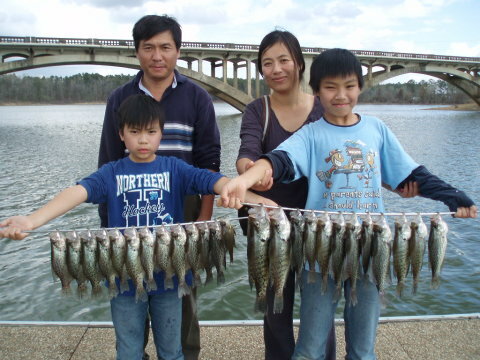 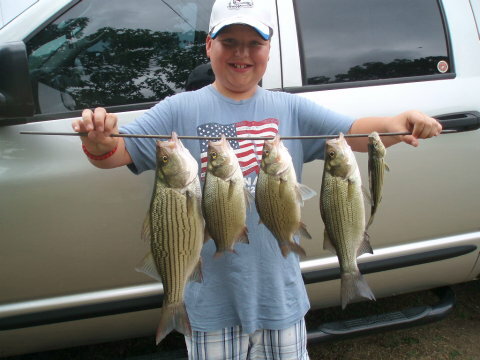 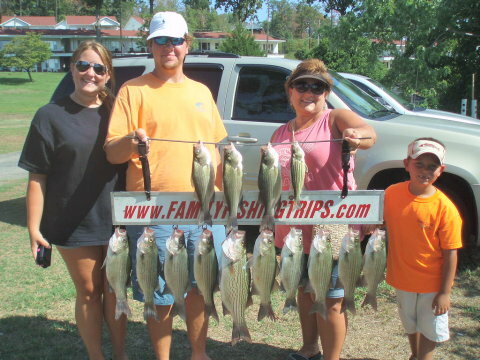 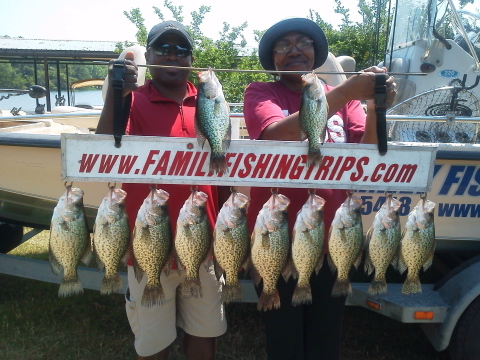 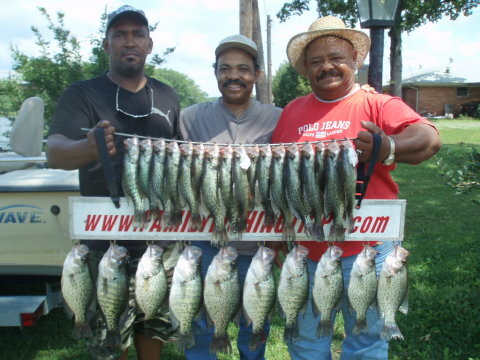 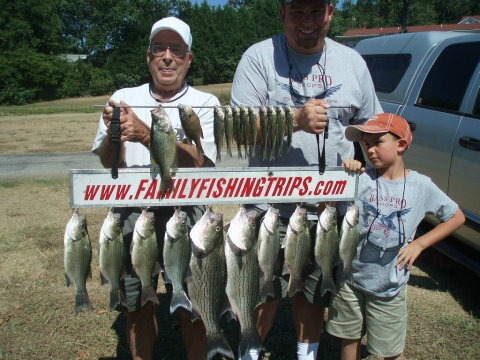 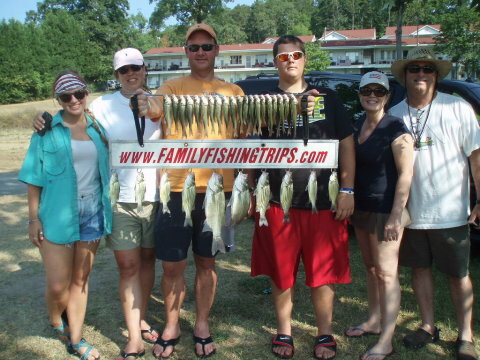 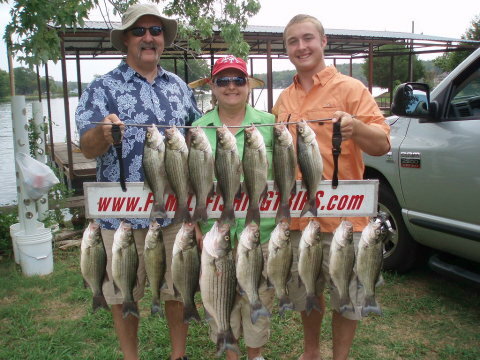 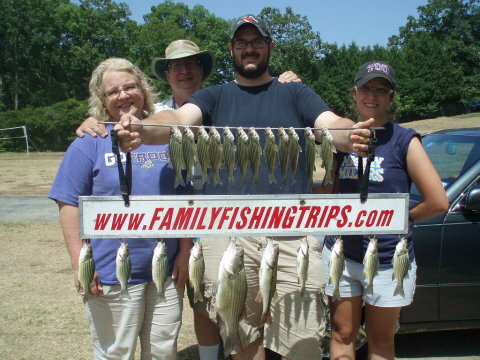 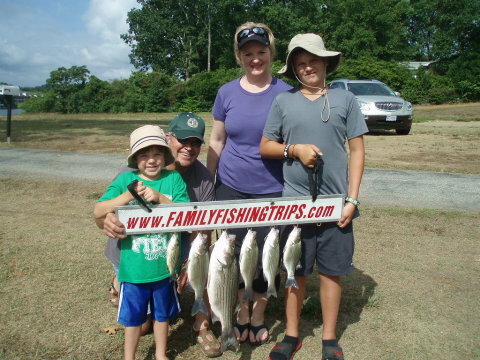 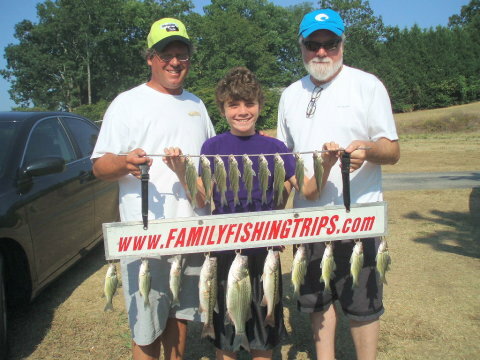 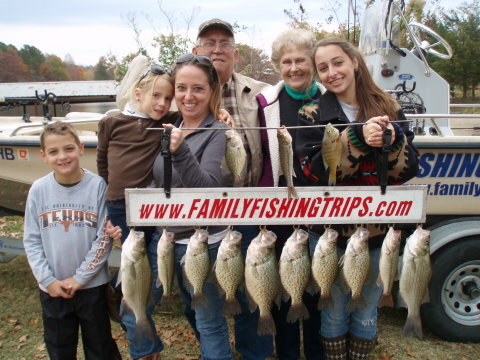 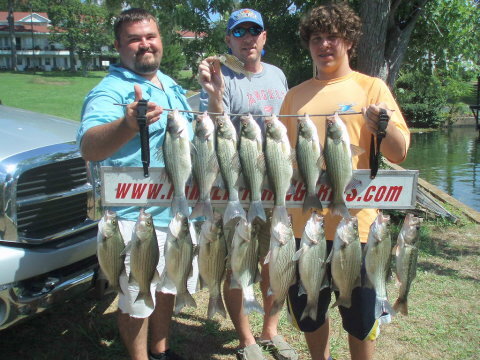 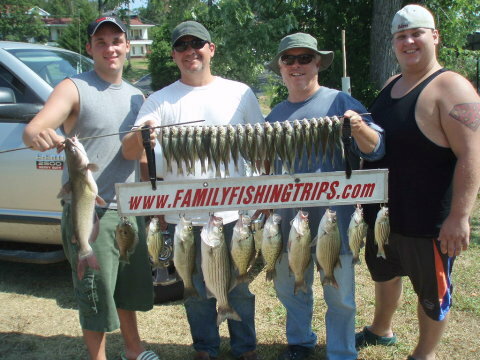 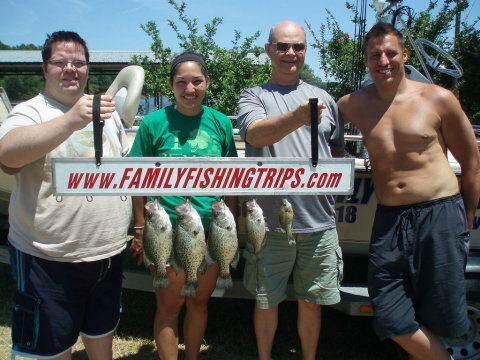 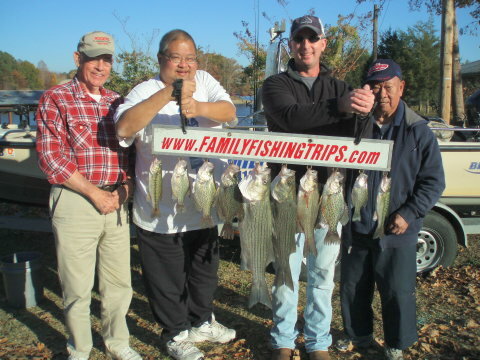 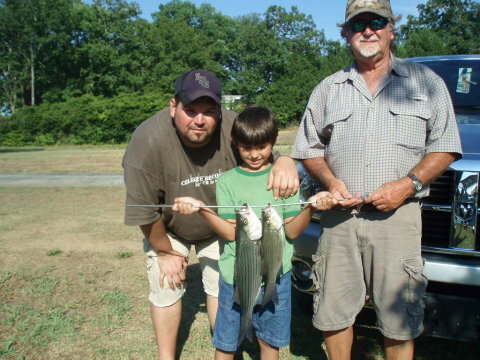 Crappie, Bass, Bream and Catfish on DeGray Lake --- Got one of these monsters too! 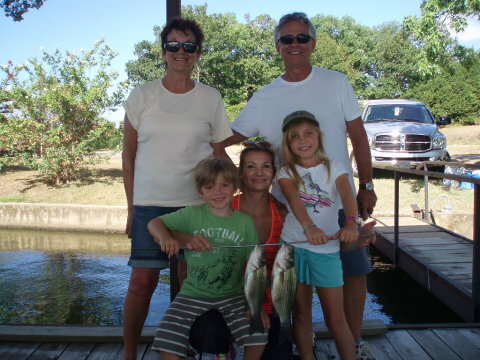 Yes, I'm still alive --- Vacation is over --- St. Louis was great. 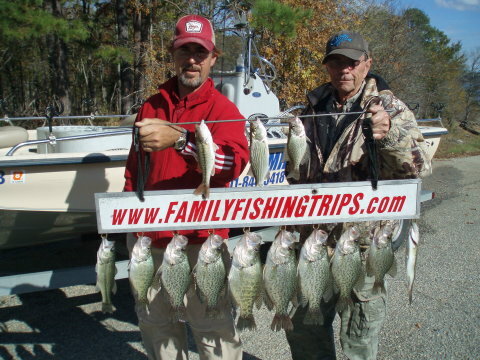 A little scouting on DeGray Lake. 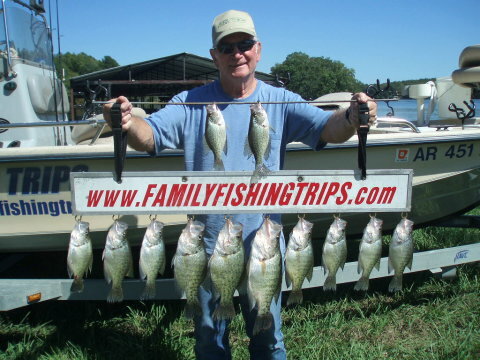 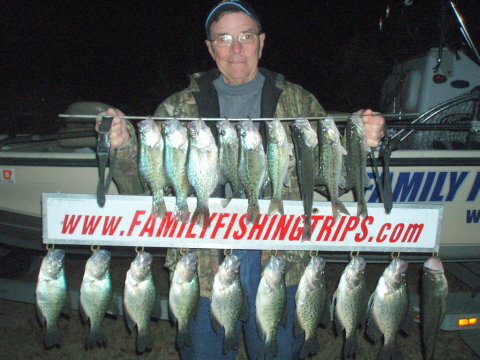 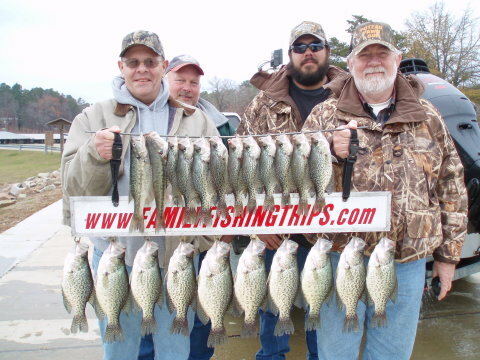 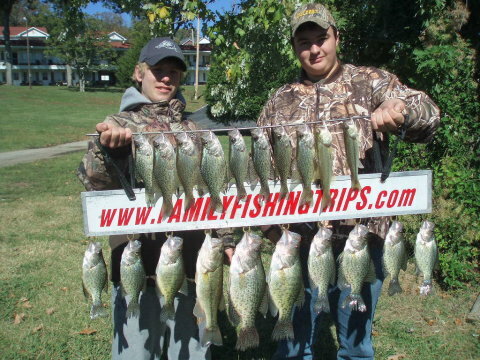 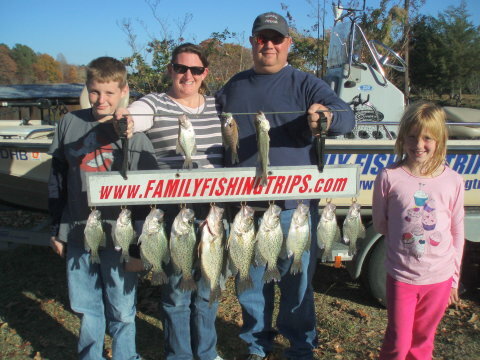 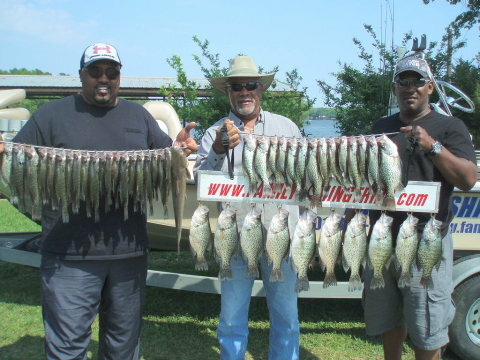 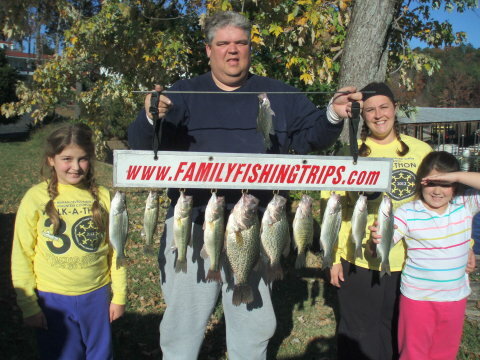 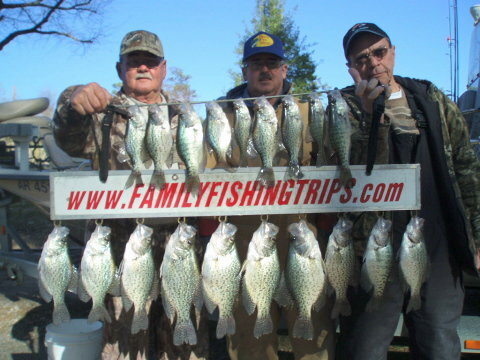 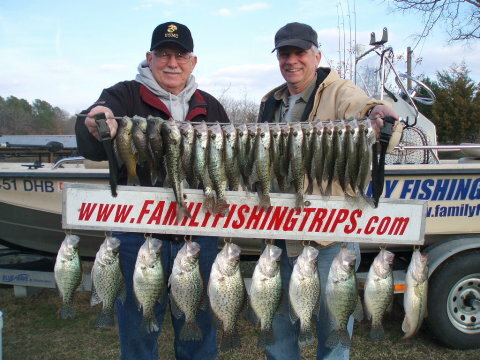 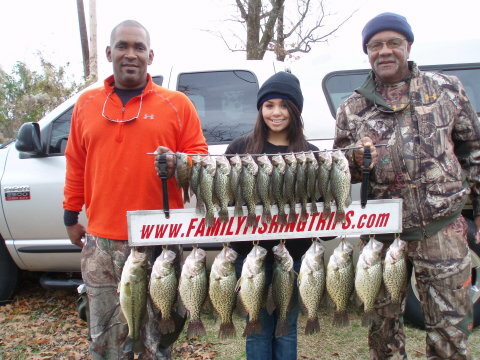 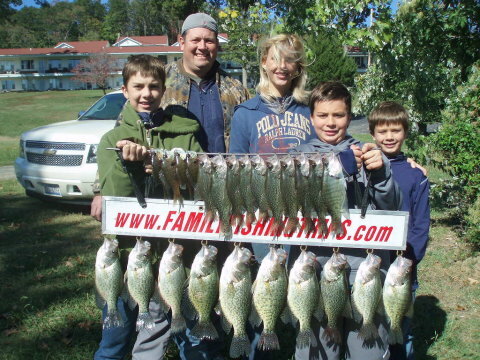 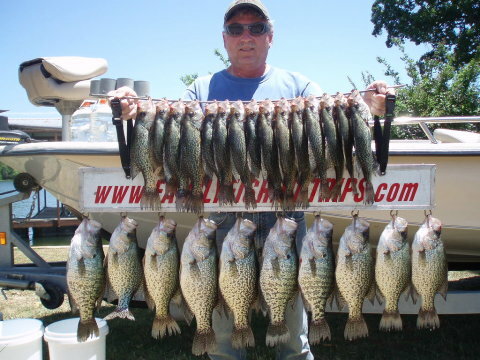 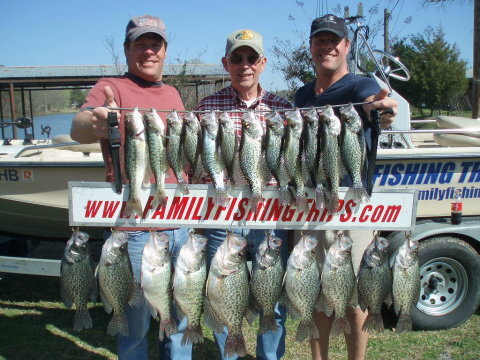 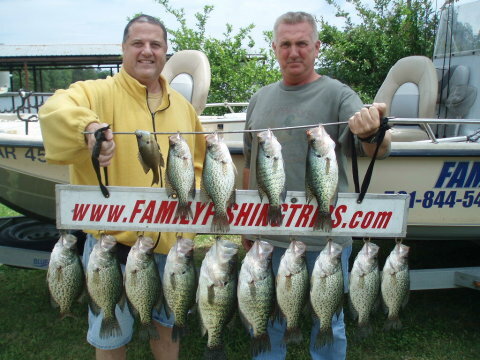 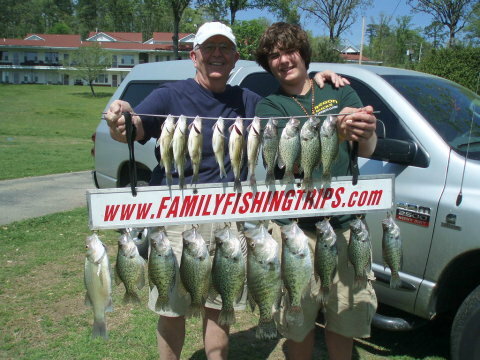 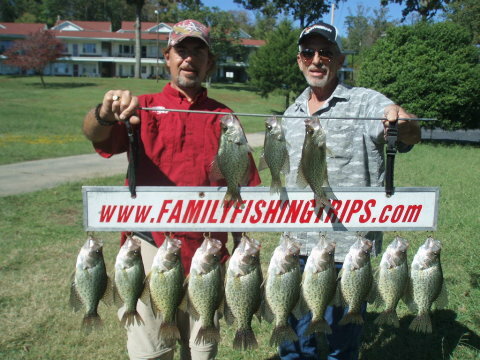 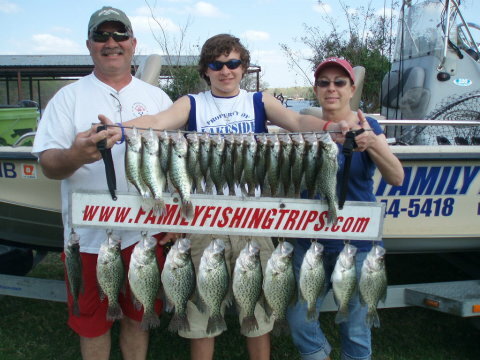 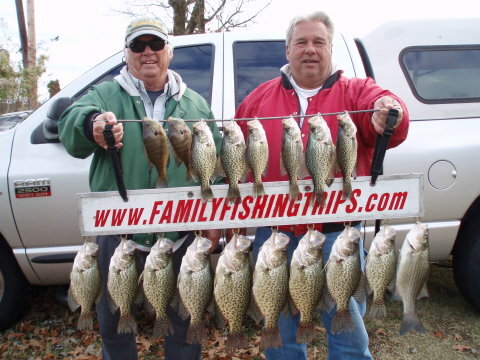 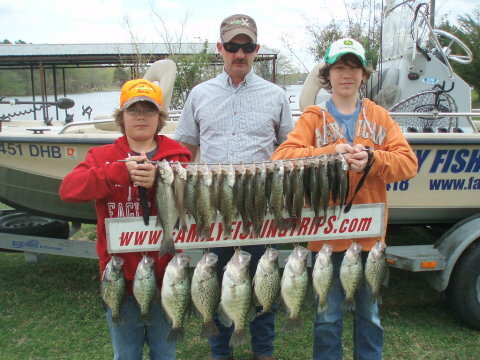 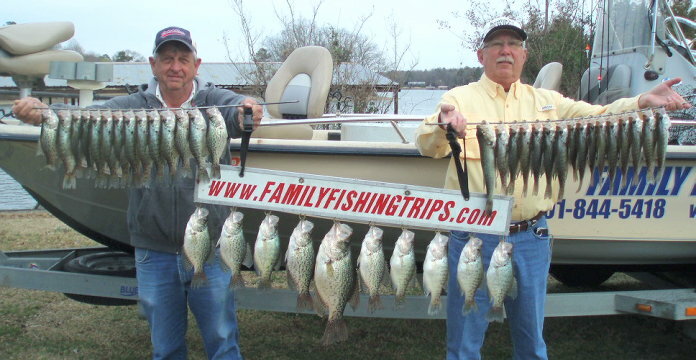 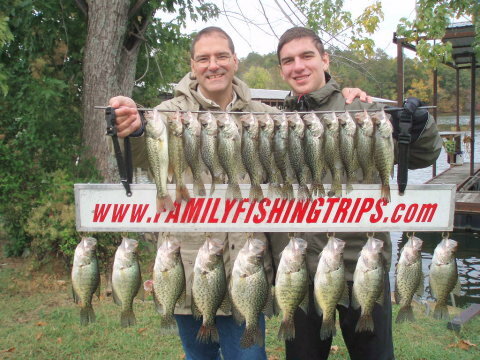 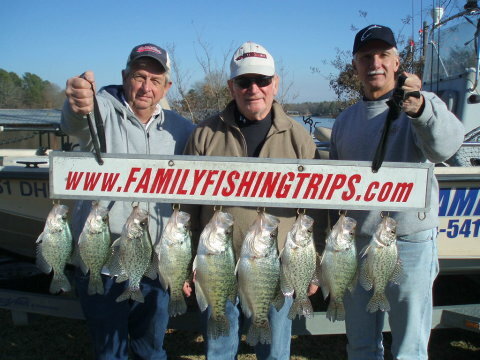 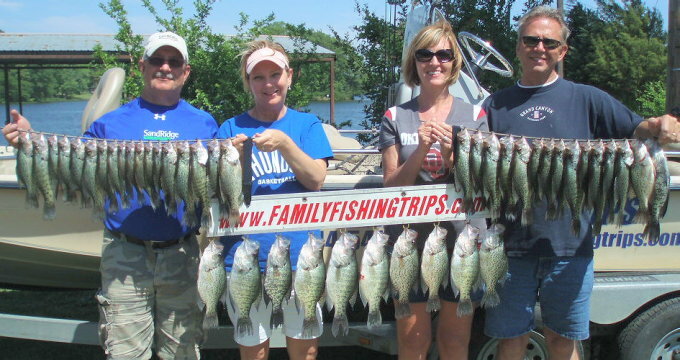 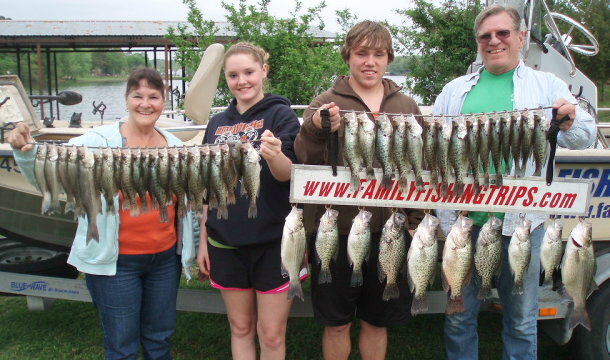 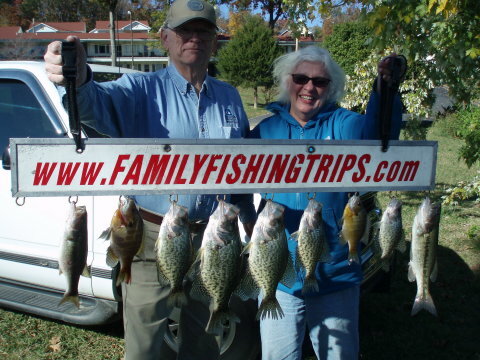 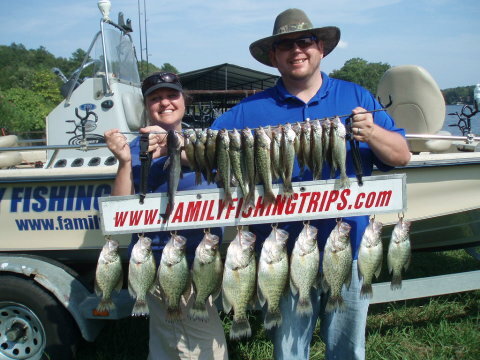 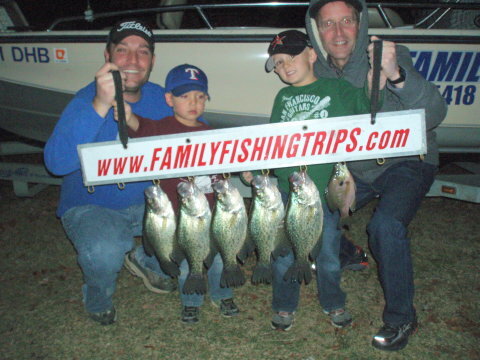 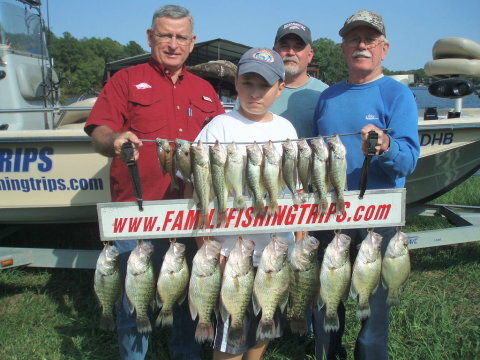 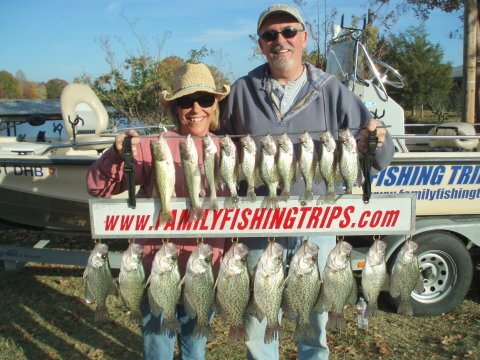 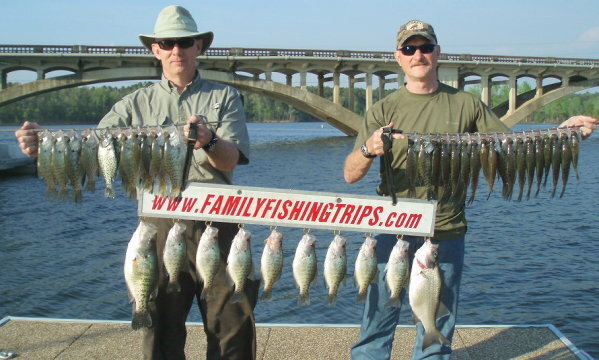 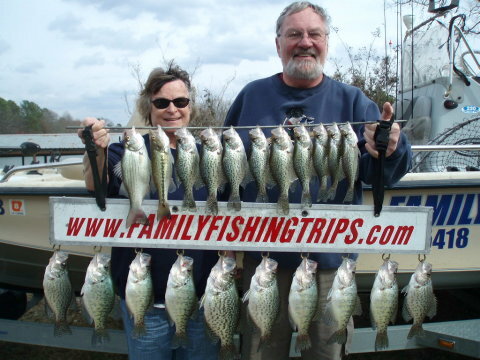 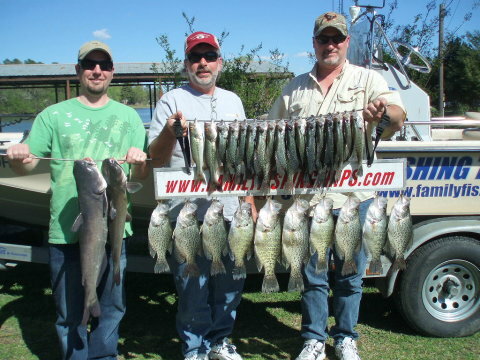 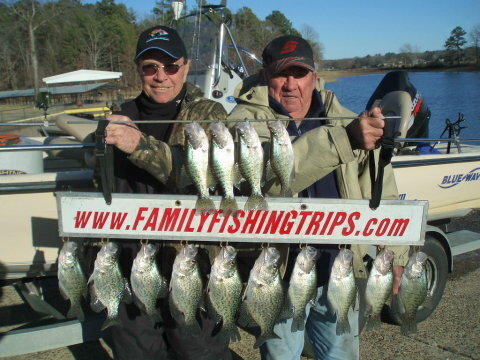 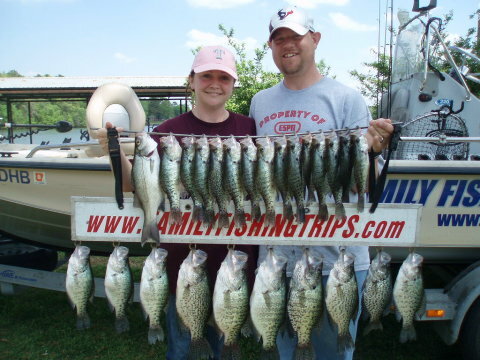 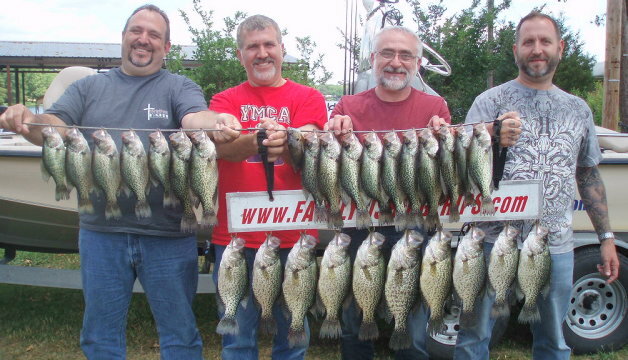 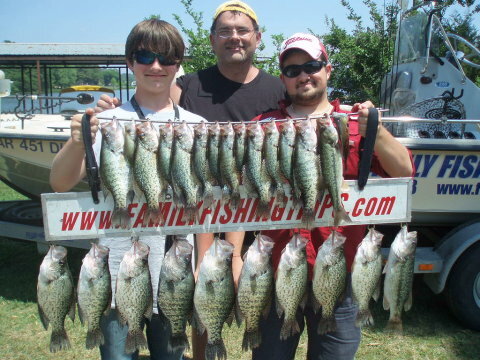 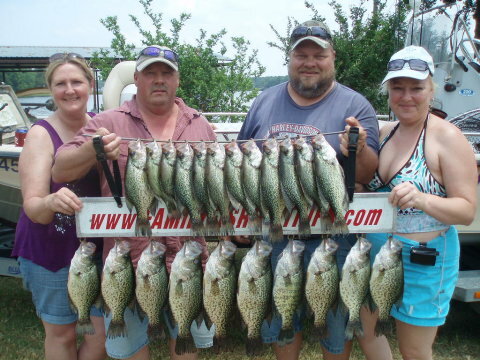 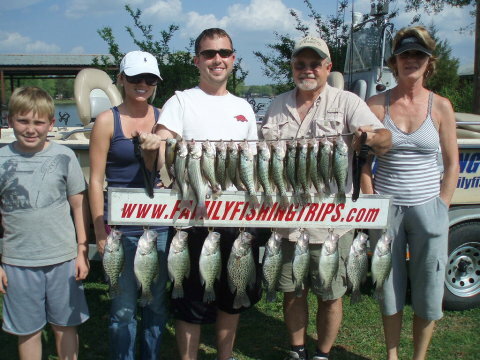 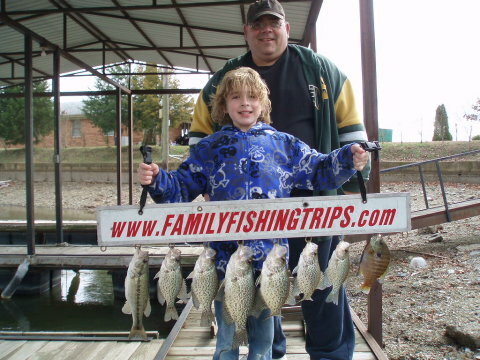 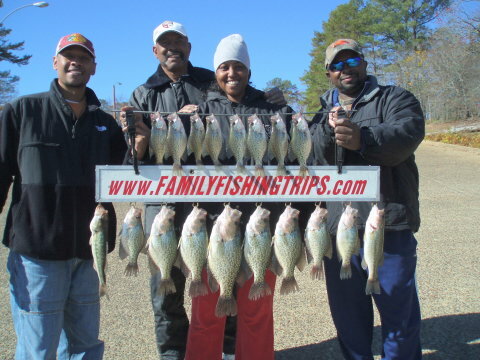 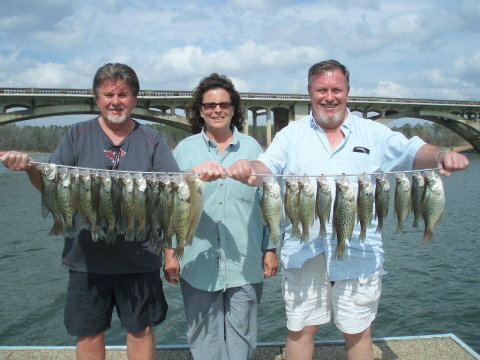 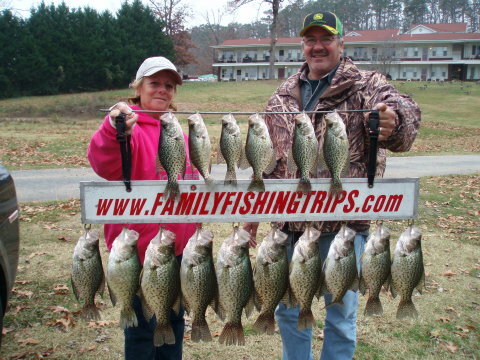 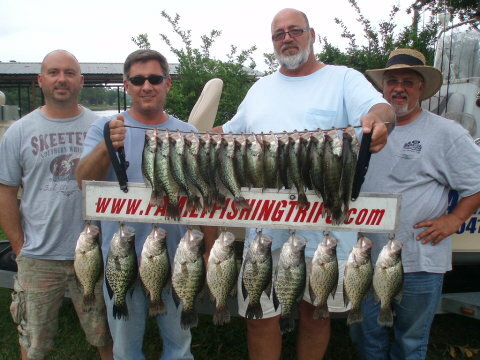 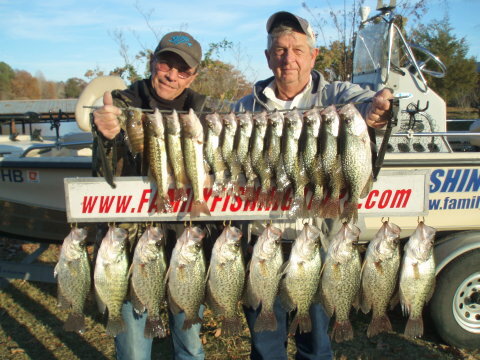 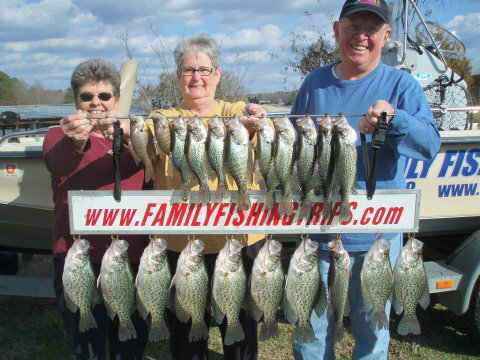 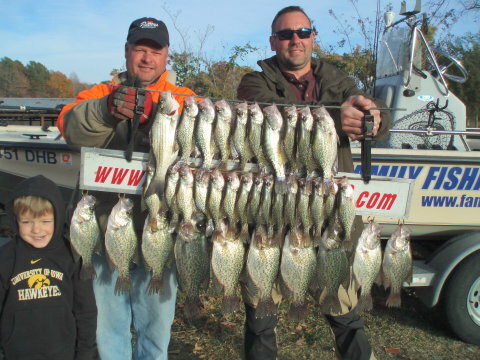 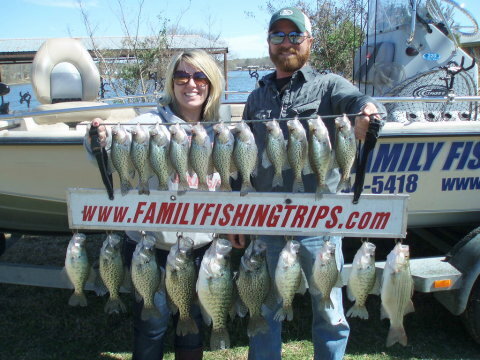 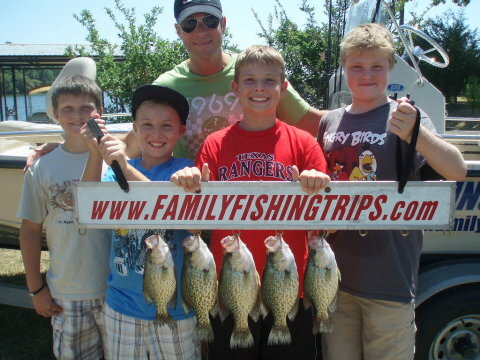 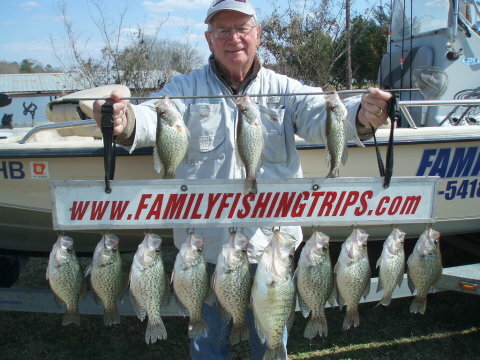 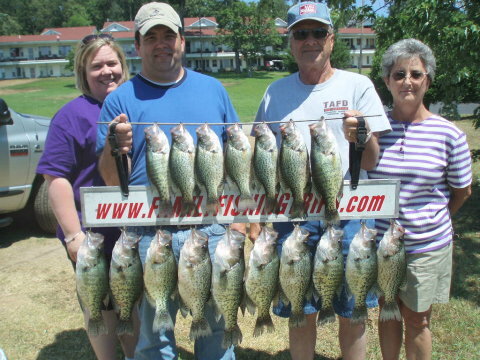 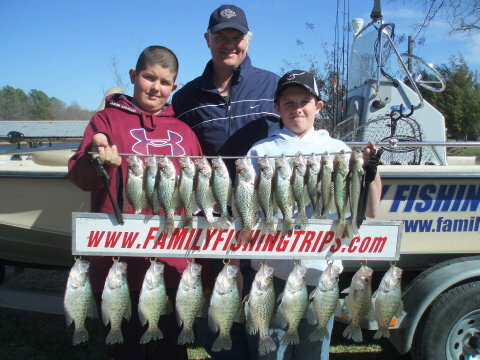 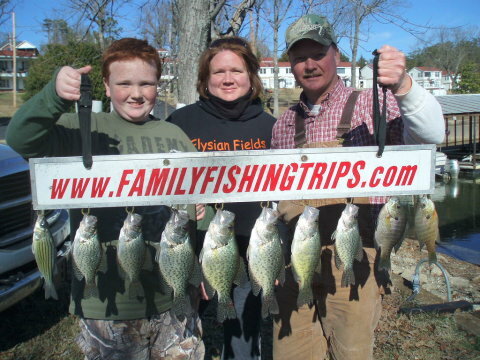 The water is cooling and the crappie are starting to move up. 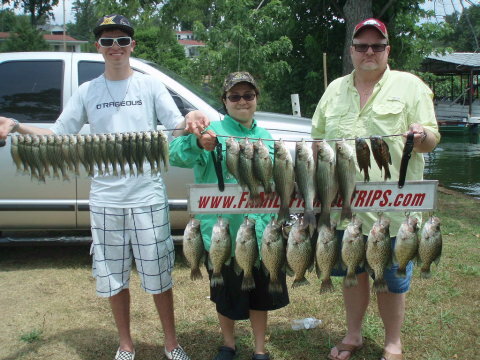 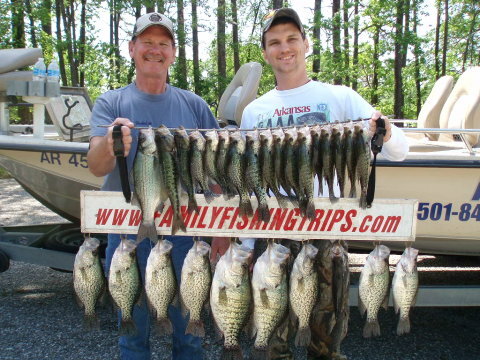 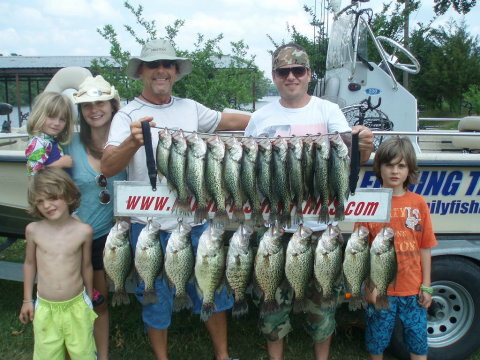 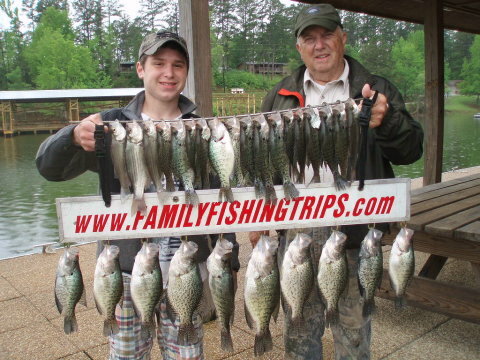 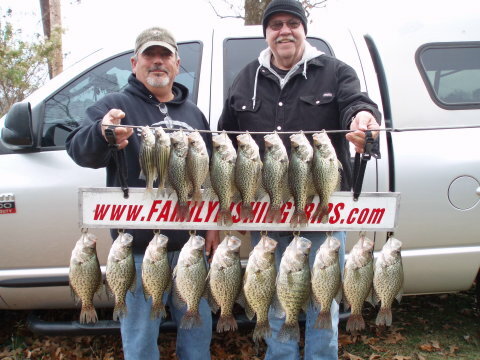 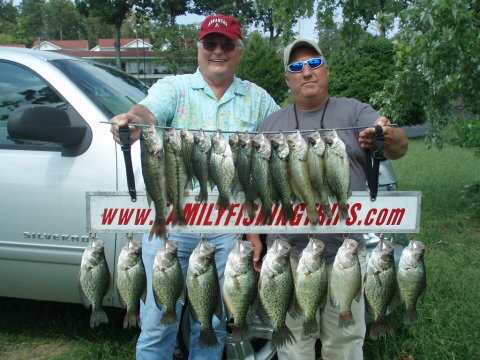 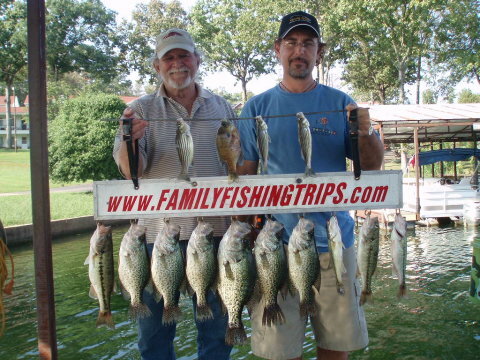 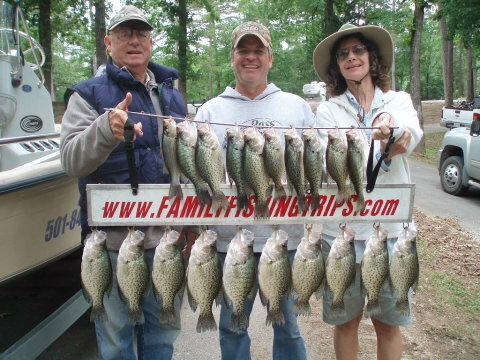 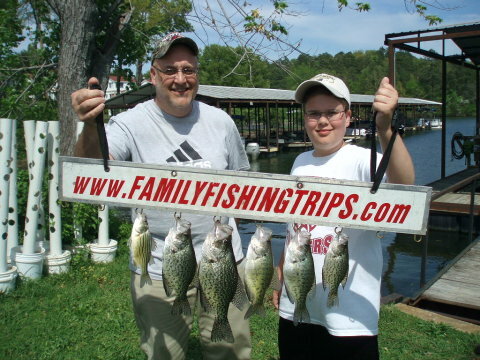 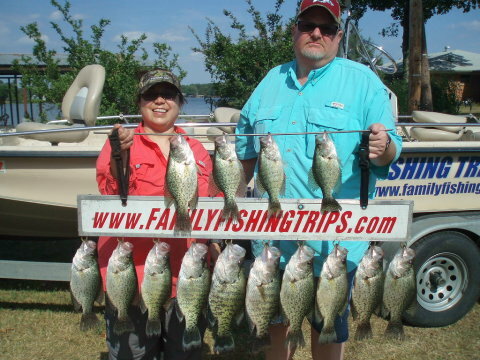 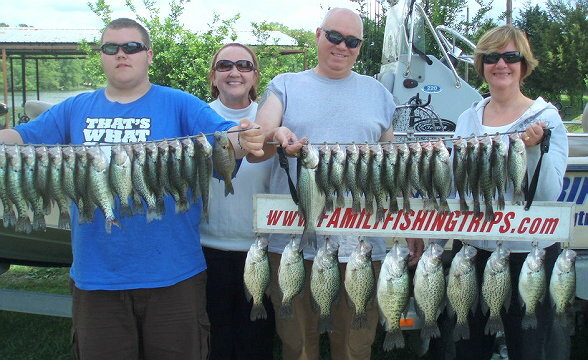 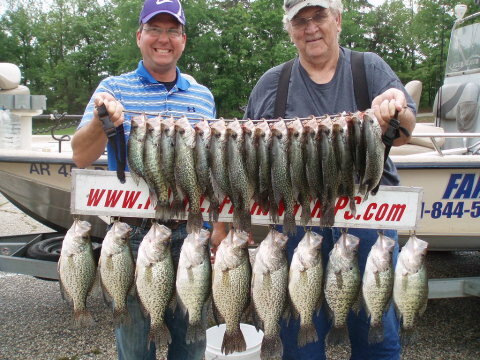 Black and White Crappie up to 16.5"
Great Day catching crappie on DeGray Lake with all the "Fishing B's"
Black and White Crappie on DeGray Lake up to 15.5"
"Big Bob says Big Daddy (me) can now be his kin since we both catch all the big fish"
Boat limit of Black and White Crappie up to 17.5"
Water temp got up to 55-degrees, so the males are already in the shallow water. 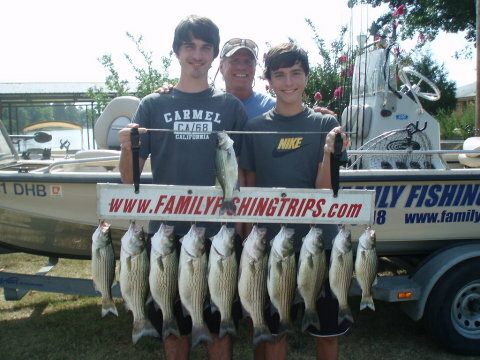 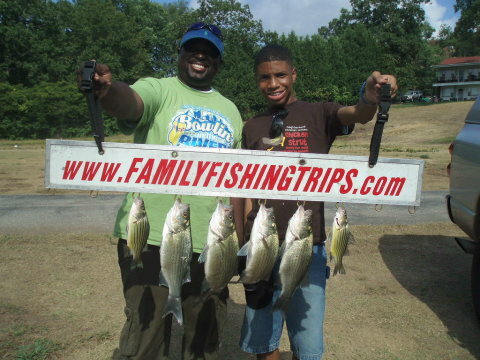 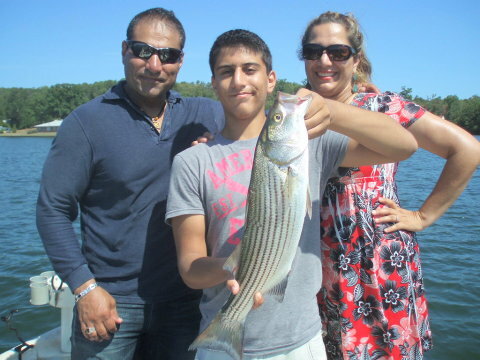 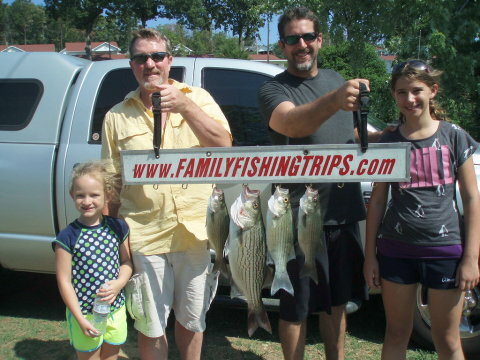 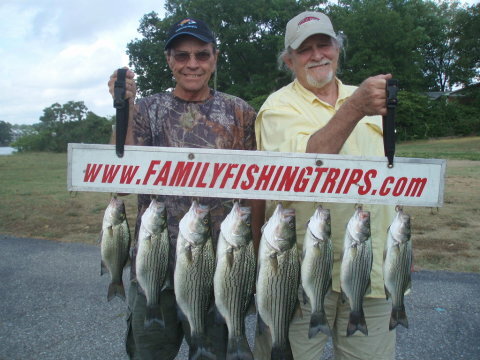 The big one went 16-inches - 2lbs. 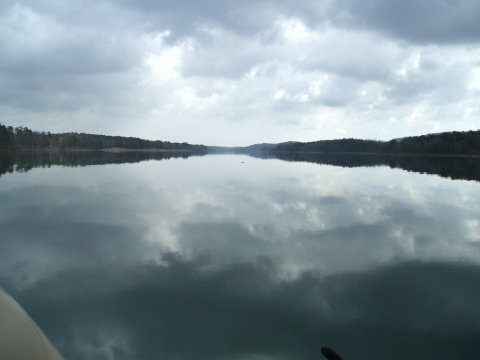 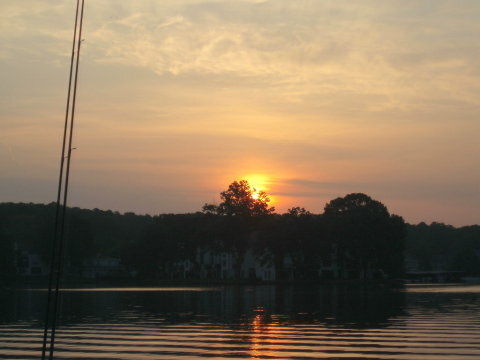 The water on Greeson this morning was like glass until about 11:00, then the wind blew us off the lake. 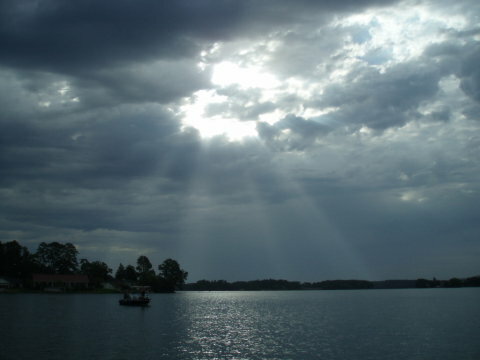 Scouting Lake DeGray upper end today. 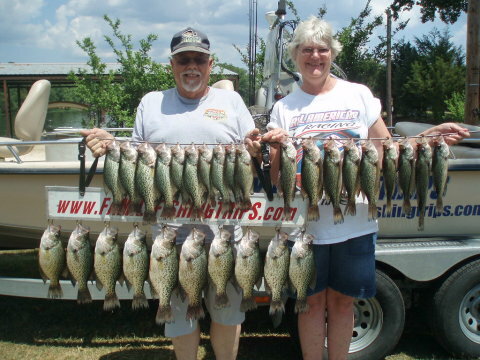 Lindy's golden Watsit jig did well today.